This is book three in the Broken Kaleidoscope Series, a collection of short stories and novellas. The series is an exploration of the darkness that pervades humanity, and its many shades. Kunal Singhania is young (ish), successful (moderately), and engaged to the love of his life (true). When he moves into the new house, Kunal finds himself being tormented by a dark, demonic presence. But is he being haunted by forces beyond the realm of nature? Or is he losing his mind, and his grip on reality? 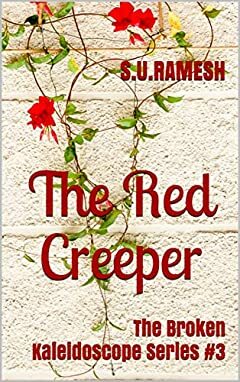 A novella that blurs the line between psychological and paranormal, The Red Creeper is a harrowing account of the battle between a mortal man and a powerful phantom.